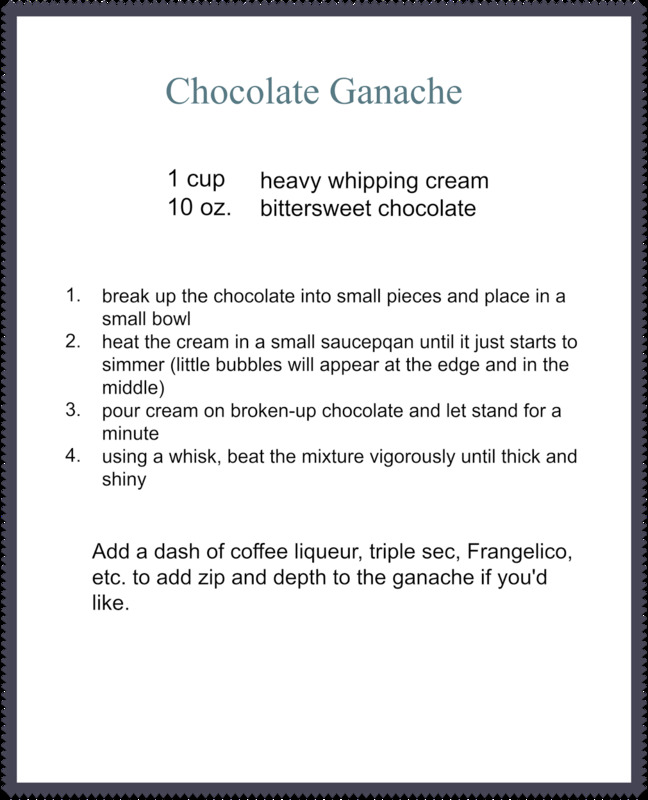 I thought I would share one of my favorite dessert tricks because it is perfect for Valentine's Day, since it involves chocolate. This is my go-to dessert when I want a delicious, homemade chocolate dessert (well, almost homemade) and I don't have the time or energy to bake. Don't get me wrong, I LOVE to bake and usually need little encouragement to do so, but there are those rare times when I just don't feel like it (or I want a yummy chocolate dessert now and don't want to take the time to make it and know I'm not going to get anything ready-made worth my time and money at the store). The cream and chocolate is for the ganache, which is, essentially...... cream and chocolate. ......simply because I wanted the fun of using my new camera to get lots of detailed shots of the texture and ragged edges of the chopped up pieces; you do not need to take the time (and dirty the utensils) to chop up the chocolate. All you really need to do is break up the chocolate bar into smaller pieces using your hands and then toss the pieces into a bowl.... where they will happily wait until you add the hot cream. Once you add the cream, let it sit for about a minute and then use a whisk to beat the mixture until it is thick and shiny...and yummy. See! So quick and easy. For best results I like to use Ghirardelli 60% bittersweet chocolate and Walkers Shortbread 'fingers', which work well for dipping into the chocolate. 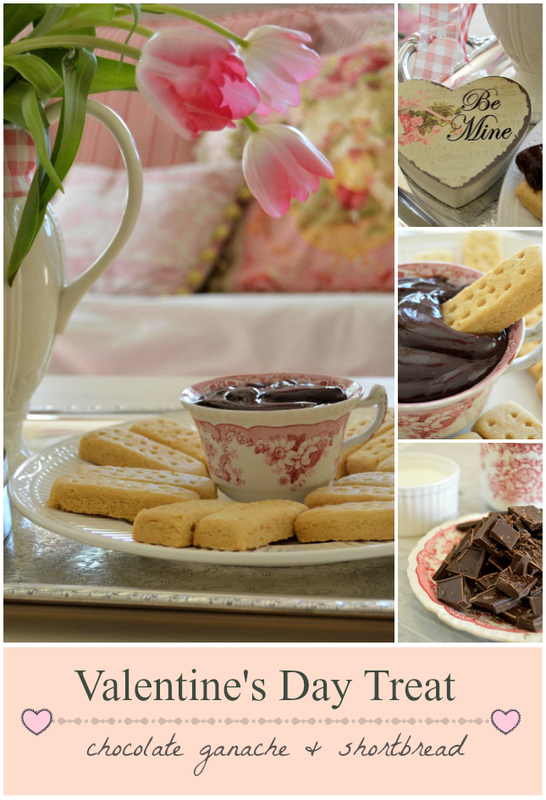 Thank you so much for visiting my blog and for pinning the recipe to your Pinterest board!